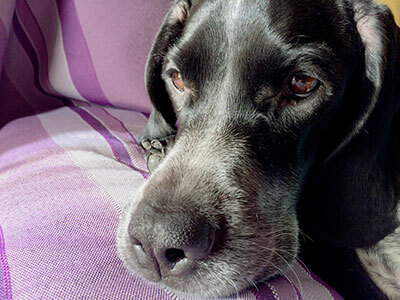 Pet owners are usually too quick to rejoice when they see a pet stain responding to treatment. Their joy is short-lived, though, as they are soon blasted by the all-too-familiar smell of pet odor.If someone asked you to make a convincing argument against owning a pet, the possibility of having to deal with pet odor would likely make the top of your list. 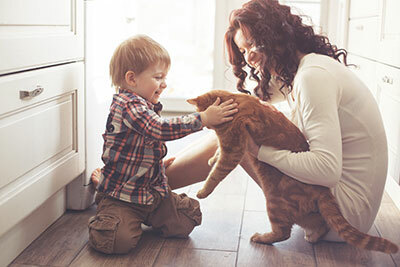 Yet as annoying as it is, pet odor isn't impossible to subdue – in fact, when working with us, you're guaranteed to rid yourself of it once and for all. What makes our pet odor treatments so effective is that we assault every layer of fabric instead of just the surface. It should be common practice, but even 'professional' cleaners will sometimes focus on the surface and leave all those inner layers virtually untouched. This is most prominent when cleaning upholstery and mattresses – anyone who's ever tried removing pet odor from these knows that it can be an impossible task. We not only make it possible, but we make it seem downright easy. But don't try to apply our multi-layered cleaning method on your own – to clean this way, you need a professional hot water extraction machine and the knowledge of how to use it. Why? The excess moisture on the inner layers of the fabric can turn to mold, which isn't nearly as pronounced as pet odor but is that much more dangerous – mold can cause respiratory issues and allergies in people and pets in a relatively short amount of time. Instead, let us blast every last pet odor particle away from your fabric and extract it back using our industrial hand washing system. Thanks to the mechanics of this method, we can tackle fresh pet odor cases as well as lingering ones with equal efficiency. The scope of the pet odor issue doesn't matter, be it a couple-inch stain or a massive surface – no matter the details, we'll remove the odor with absolute success. In fact, you don't even have to know where the pet odor is coming from – if we can't pinpoint the epicenter, we'll turn to UV lighting to see where the mess is coming from. But don't think we'll stop at mere cleaning, either. 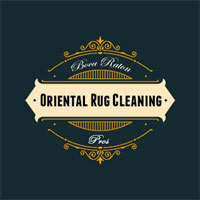 We round up every pet odor removal effort by applying a deodorizing substance that will freshen your rug up in no time. Pet odor has a way of sticking around even when its source was removed on every level, entering the pores of a household and noticeably lowering the quality of life for the home owners. Not when we're taking care of you: our deodorizer will blast away the mere memory of the foul smell and replace it with one that is pleasant and inviting. Needless to say, the deodorizer we apply is perfectly safe for everyone living under your roof, including children and those of a compromised health – we care about your rugs, but we care even more about your well-being and would never do anything to threaten it.